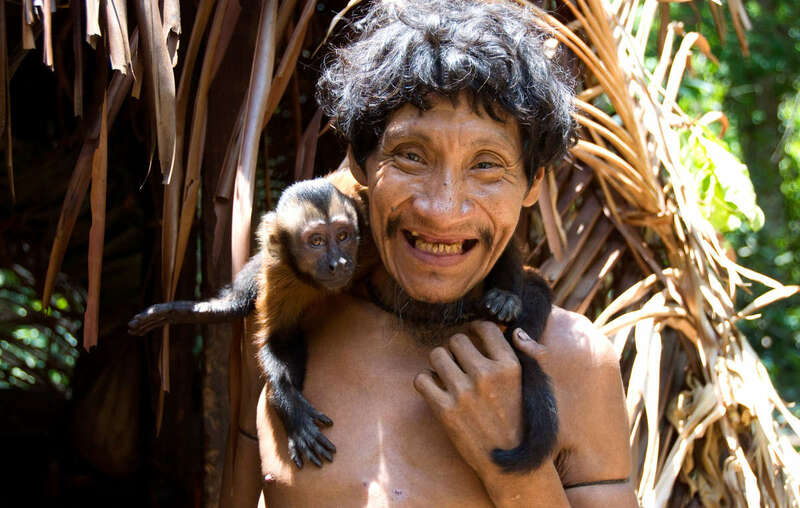 Takwarentxia with a monkey, Juriti community, Brazil. Tribal peoples are being illegally evicted from their ancestral homelands in the name of conservation. They are arrested and beaten for hunting to feed their families. Survival International is calling for a new conservation that respects tribal peoples’ rights and promotes human and ecological diversity. 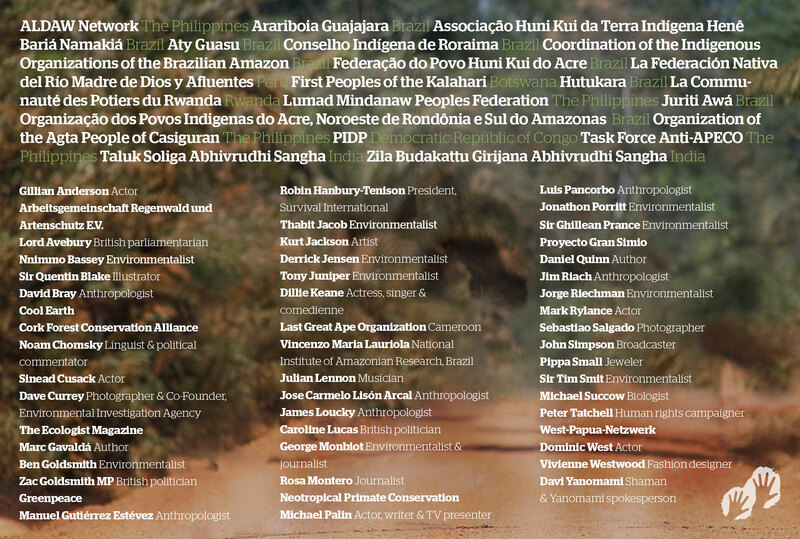 Sign this declaration and join the thousands who have already supported the call, from indigenous organizations and Survival supporters, to Greenpeace and public figures like Michael Palin, Noam Chomsky, Dominic West and Gillian Anderson. For tribes, for nature, and for all humanity, take a moment to add your voice to the call for a new approach to conservation, one that has tribal peoples’ rights at its heart. Signatures : 17,034 Help us reach 20,000! Tribal peoples are generally the best conservationists; they have managed their lands sustainably for many generations. Forcibly removing tribal peoples from their land usually results in environmental damage. Such removals are a violation of human rights and should be opposed by conservationists. The cheapest and quickest way to conserve areas of high biodiversity is to respect tribal peoples’ rights. The world can no longer afford a conservation model which destroys tribal peoples: it damages human diversity as well as the environment.